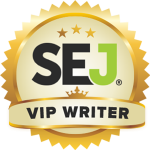 As an SEO expert I am fortunate enough to have been invited to write for a number of online blogs and publications. I’ve also been featured and quoted in a number of articles as well. At this moment in time I write regular pieces for Search Engine Journal and OnCrawl, and I also write a bi-monthly column for the iGB Affiliate magazine.